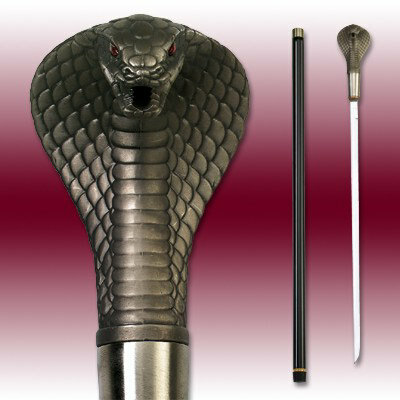 This executive cane combo features a 5 1/4" dagger blade and a 18 1/4" sword blade, both constructed of 420 stainless steel. The brown hardwood handle screws into the brass fittings. Features rubber grip on end of cane. 36" overall. Also available in black.